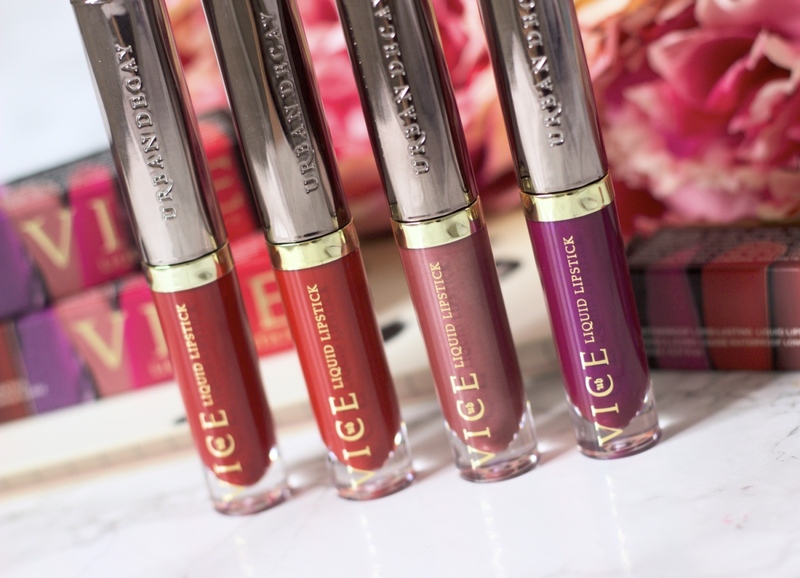 I’ve said before that I am beyond obsessed with the Urban Decay Vice lipsticks. I’m not going to going into my obsession again, but you can see the full review here. Then there was the Blackmail palette and now there’s the ultimate excitement for a matte liquid lipstick obsessed gal like me! Yes you’ve got it, the Urban Decay Vice Liquids in 20 shades! The packaging, impressive obviously but for me the original Vice lipsticks win with the packaging. Still though, they look lovely and it is easy to see the shade you are applying. The shades resemble the Vice lipsticks perfectly! Sometimes brands have inconsistency across different products but the liquid lipstick shades match the Vice lipstick shades perfectly. I love the easy applicator which also means you can line your lips first too. These liquid lipsticks are highly pigmented so I would definitely advise lining your lips first so you stay within the lines. If you make a mistake you only have about 10 seconds to correct it, after that this lipstick is not going anywhere! That’s the beauty, you can eat and drink and this lipstick stays put. It doesn’t feel dry at all and even though it is so pigmented it still feels really lightweight. After a good greasy Chinese takeaway, my lipstick came off slightly in the centre of my lips. The great thing is when you apply more lipstick on top it doesn’t go all clumpy, it still has a very smooth application. 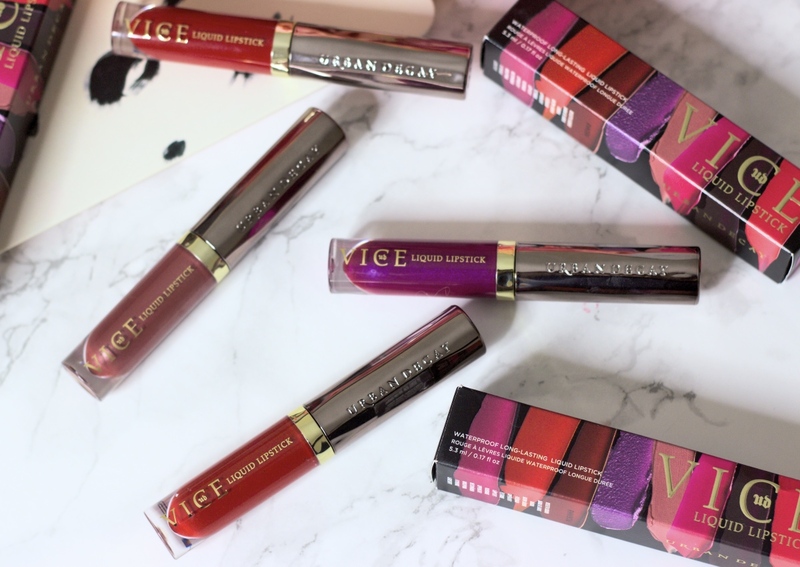 The Urban Decay Vice Liquid Lipstick range would have been a strong candidate in my battle of the matte lipsticks. I have been looking for great and long lasting red liquid lipstick and now I have found it. 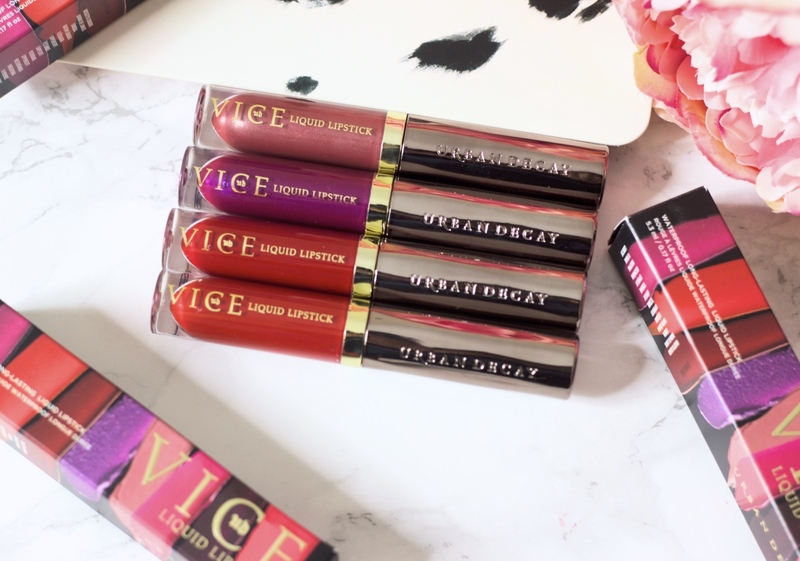 If you love the Vice lipsticks you will love these and if you love liquid lipsticks you will definitely love these!